Well as the late Errol Brown sang, "I believe in miracles.." and that's what the Kent SLYDE Kings need to do after being subjected to a 'Sixty Thing' up at Mildenhall in the first leg of the Play Off semi-final on Friday - the 29-61 reverse meaning Chris Hunt's charges need to turn around a 32 points deficit to progress. The second leg on Monday (1/10) coincides with the last new set of 'Green Sheet Averages [GSAs] of the 2018 season in the Travel Plus Tours National League [TPTNL] and this creates a further headache for Hunt, as no longer will any 'Guest' facility be at his disposal. That's because Paul Hurry drops down out of the number one race jacket and earlier hopes that the Maidstone-based former GB World Cup rider could get on the comeback trail in this vital match have been dashed. Hurry failed a fitness testing run-out on Friday and has accepted the inevitable and sits out the rest of his all too brief Speedway season. The SLYDE-sponsored Kings will now use Rider Replacement [R/R] to cover the missing Hurry's rides. 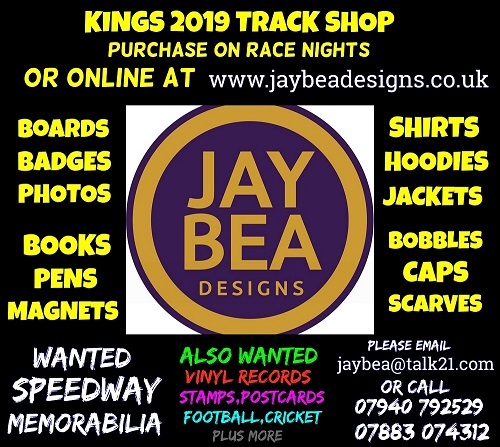 Of course the much more positive thing about the new GSAs is that it's skipper Jack Thomas who now finally - as he continues his record breaking appearances run for Kent (the club who introduced the Norfolk-based teen to league Speedway) - reaches the pinnacle of the no. 1 race jacket. It will be a proud moment for all in the Thomas camp and everyone at Kent. And 19-year-old Thomas made a sparking debut in his first National League Riders' Championship [NLRC] up at Leicester on Sunday (30/9) winning two races to finish just outside of the rostrum places in fourth place. Team mate Nathan Stoneman actually beat in skipper in that same meeting when they went head to head to finish also on a creditable score - of six. For Mildenhall, after events in the NLRC, they'll now be sweating on the availability of their number one, Drew Kemp. The terrific teen was in peerless form scoring 17 in the first leg against the Kings on Friday and was looking equally unbeatable at Arlington on Saturday in that stormy match against Eastbourne as a Kent 'Guest'. But tactics designed to intimate the 16-year-old by Eastbourne may have had a delayed effect, after an afternoon of misery in his first NLRC - when the youngster who was many people's ante-post favourite suffered engine failure in his first outing and then took a heavy fall in his second ride, then having to withdraw from proccedings. 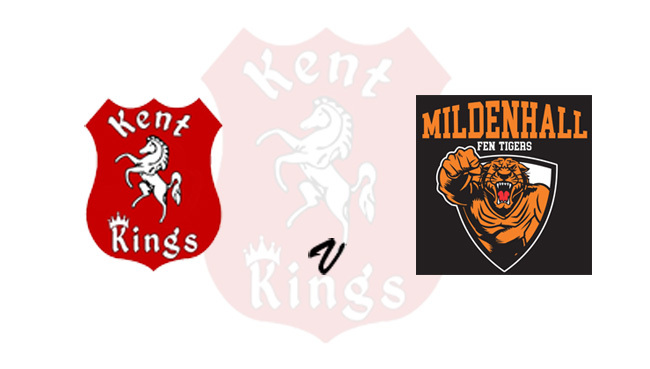 Kemp's time will certainly come again in that championship but for now Fen Tigers' team boss Phil Kirk will be more concerned if there's enough time for his talisman to recover all round to take up his place as number one for the TPTNL title-chasing Fen Tigers on Monday. That's not least because the visitors are already without their other two heat leaders Danny Ayres (broken wrist) and Josh Bailey (concussive injury). This occasion sees R/R for Ayres and a 'Guest' for Bailey. The guest pick for Bailey comes from the direction of Eastbourne: teenager Jason Edwards.